Taking a week-long busman’s holiday, Iain Robertson drove an amazing 3,000 miles around the UK in pursuit of some of the most spectacular driving routes, to create a travelogue of moderate merit. Ever since the dawn of the motorcar and the relative freedom it presented to the motorist, the intention to drive almost anywhere has been an invariable aim. It is not so easy these days, due to concerns about security, safety and trespassing, at least two of which are aspects of the ‘nanny culture’ in which we exist. It is not so long ago that Ford celebrated an unusual anniversary. 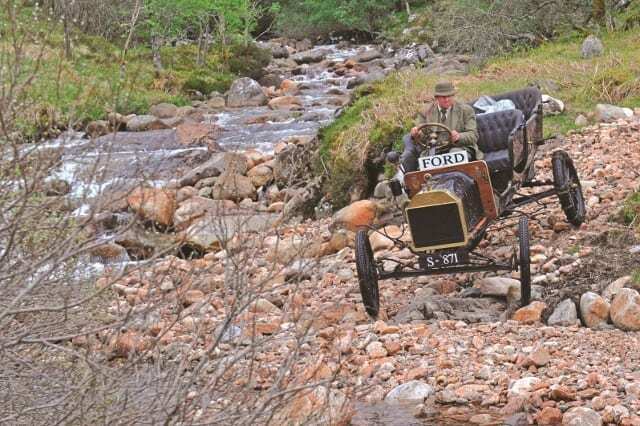 It coincided with 100 years since the Model T first turned a wheel but also fêted the fact that, in 1911, Henry Alexander, a Ford salesman, drove his rudimentary motorcar to the summit of the UK’s highest mountain, Ben Nevis. It was repeated successfully in May 2011, although changes to the topography, to make it easier for hill walkers, precluded a proper drive to the summit (the car needed to be dismantled slightly), although it did achieve the climb. 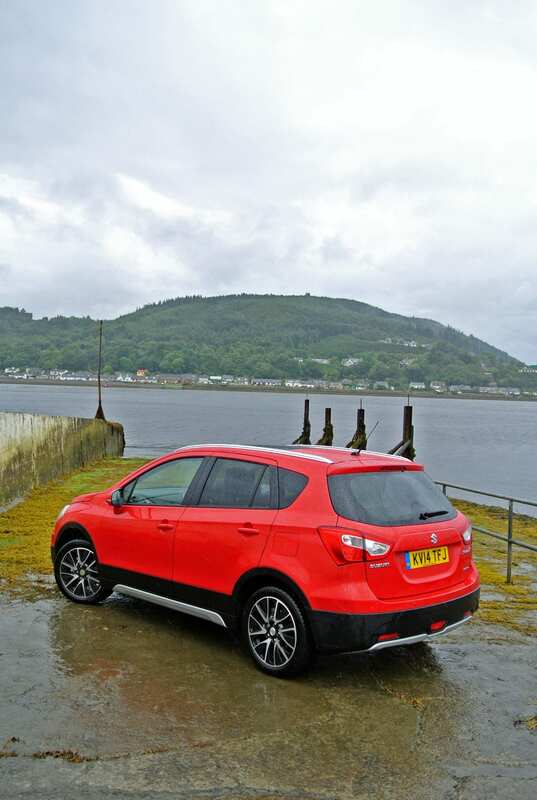 While I prefer the comfort and convenience of the modern motorcar, I was able to drive a Suzuki S-Cross…okay, I shall admit that in SZ5 guise, complete with 4WD, it might be construed as ‘cheating’…to Ben Nevis, via Glencoe and the breathtaking back doubles of Glen Nevis. Sadly, with innumerable gates and fences blocking the way, driving up the Munro (the name applied to each of the 282 highest Scottish mountains, all over 3,000ft, named after Sir Hugh Munro, who first catalogued them in 1891) was neither feasible, nor allowed. Incidentally, en-route to Fort William, the drive through the magnificent and glowering Glencoe took me past the some-time holiday cottage of Jimmy Savile, now, thankfully, whitewashed and relieved of its hateful but inevitable graffiti. Unable to surmount Nevis, I continued the 70 miles further north to Bealach Na Ba, or The Pass of the Cattle, which is Scotland‘s highest driveable pass. The route took me alongside the mystical Eilean Donan Castle, at the Kyle of Lochalsh, until I reached the pretty village of Lochcarron, where I stayed overnight at the excellent The Hebrides B&B, owned by Kirsty. Having booked in, I drove onwards, with the intention of reaching the beautiful sealoch-side Inn at Applecross for supper. Sighting several well-camouflaged deer on the pass but having to contend with very low clouds and copious rainfall only served to heighten the quality of the steep drive, with its black, vertiginous drops and virtual lack of any trees or landmarks. This is bleak but also incredibly beautiful, with capitalised ‘Bs’. Packed to the gunwales, with sea canoeists, vacationers and other local visitors, the Applecross Inn was not merely welcoming but so accommodating (I had not booked a table) that I am unsurprised that its restaurant receives such top ratings from everyone. The locally hand-dived scallops and the fresh fish were awesome and generous and the prices were affordable, which was a surprise for such a remote west coast location (£40-£50 for dinner for two, including drinks). Renegotiating the pass, grateful for the surefootedness of the S-Cross, I enjoyed a much-warranted and exceedingly comfortable overnight stay at Kirsty’s place (£30 for B&B). Next morning, after refuelling (which was expensive, despite the car attaining a moderate 40.8mpg), I headed for Inverness in torrential conditions along my favourite ‘Road to the Isles’, which is not merely a fast route but was also very lightly trafficked. Thanks to really awful weather conditions (yes, summer was definitely over! ), my intended drive up The Lecht, in Aberdeenshire, was cried off, thanks to a sinkhole opening in the main road. Therefore, I headed to a favourite haunt at Aviemore and Cairn Gorm instead. 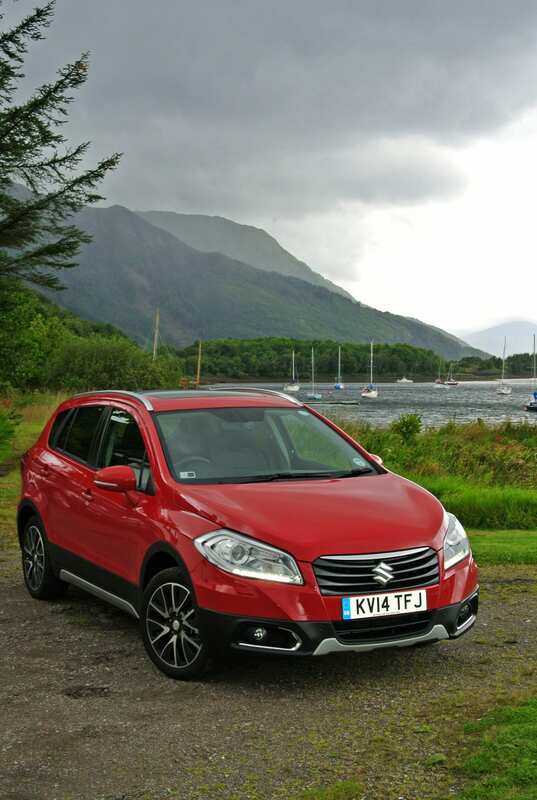 This is perfect territory for the Suzuki, a car that appeals to outdoor types, and it was packed with holidaymakers, mostly foreign, but all enjoying the non-winter exploits and adventures open to them. Aviemore has reinvented itself as an all-season venue and once you reach the car park over 2,000ft up in the Cairngorm mountains, some eight miles south of the centre, you begin to appreciate its tremendous scope. There exists a very American-style of ‘outdoorness’ to its appeal, which is quite sensible really and it works. A funicular railway can transport you to the Ptarmigan restaurant, if you wish to reach the summit. With a domesticated herd of reindeer living off local flora, heathers and blueberry shrubs, there is plenty to photograph in this beautiful area. However, with the Scottish Border at Carter Bar in prospect, I wanted to make a brief stop in Kingussie to purchase a selection of the local micro-brewed beers. Highland water makes the alcohol quite sweet but there is also a wondrous quality to their grain-derived ingredients and some of the names, such as Nessie‘s Monster Mash, Sheepshaggers Gold and Blessed Thistle, are both cheeky and indicative of a real sense of fun. Getting to Edinburgh involves crossing the Forth estuary and the original Victorian rail bridge looked as splendid as ever, the road bridge soon to be joined by a second crossing, which is being constructed alongside it. The Scottish capital was an essential drive-through, down the revitalised Grassmarket, past Greyfriar’s Bobby and The Deacon Brodie’s pub on The Royal Mile, the streets teeming with visitors to the annual Festival and Scottish tokenism in abundance, although there was a distinct low-key ‘Vote Yes’ presence. I expected more but it was clear that Edinburgh continues to enjoy its status. Continuing south down the A68, reaching the summit at Carter Bar always brings a small moment of regret to me, as I wave a metaphorical fare-thee-well to the home of my ancestors. My next overnighter was at the superb Redesdale Arms, at Otterburn (on the A68), within easy reach of the splendour of Kielder and its Forest Drive. My double-room was spacious and its en-suite facilities were immaculate. The bed was comfortable and the restaurant quiet and delightful. At just £60 per head for dinner, bed and breakfast, this first and last English hotel (dependent on your perspective and whether you are travelling north, or south, on the A68) represents excellent value for money. Continue reading Part 2, as Iain Robertson continues his week-long traipse around the UK.